A little space on the World Wide Web which allows me to share my interest in books, folklore, sacred trees and plants, mythical creatures and the occasional foray into pop culture. Welcome! Selamat Datang! Bien Venue! Dedicated to all those who are interested in world folklore, culture and nature. Comments and constructive criticisms are welcome! The marvelous Bunditpatanasilpa Institute's Dance Troupe from the Ministry of Culture of Thailand also put up a performance of Manohra on that night; only a vignette however as the full dance drama would take hours. Manohra is a traditional dance drama popular in southern Thailand and northern Malaysia, but the folktale is also known in Cambodia, Indonesia and Myanmar (Burma). In Malaysia, the dance is performed only in the east coast states of Kelantan and Terengganu but is gradually fading away, unfortunately. The title, Manohra, refers to the name of the main character, the youngest of seven Kinnari princesses. Not surprisingly, the Kinnara is a symbol of enduring romantic love in Burmese culture. Although these lines are from the Mahabharata, the story of Manohra is not found there. The Kinnari is depicted as having the torso of a woman and the lower half of a swan or a long-legged secretarybird in traditional Thai art and sculpture. 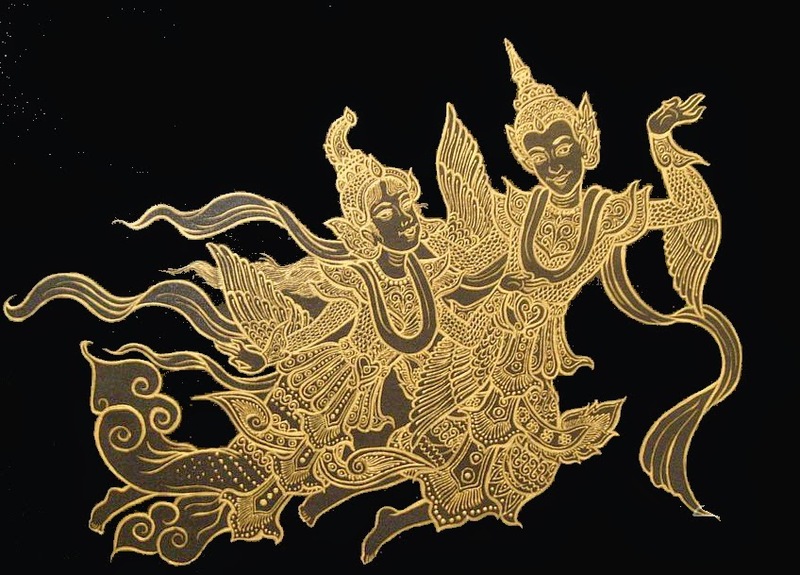 In Burma, both Kinnara and Kinnari are depicted as humans with wings and fabulous tail feathers. There is no iconography of her in Malaysia, as far as I know. However, in my retelling of the story of Manohra in Eight Jewels of the Phoenix, she is basically a woman until she puts on her magical 'forest clothes' and is able to fly. This depiction of her is consistent with folklore as well as the dance. A Kinnari is not only able to fly, she can cross the boundary from this world to another mythical world called the Himaphan forest; the home of all the Kinnaris and Kinnaras. In Thai culture, a Kinnari represents feminine beauty, grace and accomplishments, especially in dance, song and poetry. 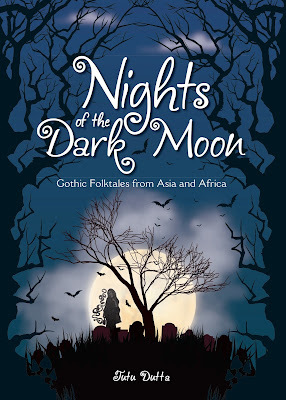 A brief summary of the story: Every night of the full moon, Manohra and her sisters make it a ritual of visiting a beautiful pool in a secluded forest. One night, a hunter called Buntarik spots the seven Kinari sisters taking a bath and captures one of them. Manohra is taken to the Royal Court and offered as a gift to the crown prince, Phra Suthon. The hunter is of course well rewarded by the prince for such a fabulous gift. While she is in captivity, the palace handmaidens hide her magical forest clothes to prevent her from escaping. The story of Manohra is thought to be based on Indian folklore and the Jataka Tales, with plot twists added by ancient Thai-Malay culture. It could be the origin of stories such as Swan Lake. In India, Manohra is Manohara, Phra Suthon is Prince Sudhana and the Himaphan Forest is the Himavanta Forest. But the folklore and dance of Manohra achieved it's fullest expression in Southeast Asia and is relatively unknown in India. Different variations of this story of seven bird maidens (usually cranes in Japan, Korea and China) or sometimes seven fairies, taking a bath in a forest pool and the youngest one being captured by a hunter or a fisherman occur in folktales from Japan and Korea all the way to the Philippines and Borneo. However, the version of the story in these countries are simple folktales - the man steals the crane maiden's magical cloak and keeps her captive on Earth. The story of Manohra on the other hand is high drama - it has a captive princess who can fly, a valiant prince, a war, a scheming priest and court intrigues, a perilous quest and an enchanted forest... For more information, refer to my previous post Adapting Asian Folktales for Children's and YA Literature 5/31/13 . Tutu, this exceptional write with pictures reminds me very much of the northeast India culture. Indeed, the Khasis of Shillong seem to come from this culture. Besides, these folk takes resemble Manipuri folk tales, even the dance is graceful and colourful as it exists there. What a wonderful write. Wonderful! It fills me with melancholy to learn that this celebration of story is fading. Is there nothing in the world sacred? Thank you, Hui Min. Appreciate the time you took to read the post! Thank you also, Robert Hartley. As I mentioned before, this art form is alive and well in Thailand! A coming-of-age story, set against the backdrop of a power struggle in Tanjungpura, an ancient trading kingdom with centuries-long ties to the Han Kingdom, Hindustan, Majapahit and Melaka. This is the story of Miyah and her friends, and how their sleepy village is turned upside down when politics and magic collide. Tutu Dutta is the raconteur of tales and the keeper of old knowledge and wisdom. She was born in the little hamlet of Churachandpur in India. She soon left the green hills and and farmlands to Calcutta and from there to Kuala Lumpur, Malaysia, which was a quiet little town when she was young. She also lived in Kuching, Sarawak as a child. As an undergraduate at Universiti Putra Malaysia, she won a scholarship from Japan Airlines to spend a summer in Japan (hajimemashte^_^), which was a life-changing experience. As a post-graduate student at the University of Malaya, she also had a chance to study in France (c'est formidable! )for a year. She has also lived in Singapore (where her daughter was born), Lagos, New York and Havana. While in New York, her lifelong passion for culture, folklore and children's literature inspired her to research and write some of the stories in "Twelve Treasures of the East", which she co-authored with Lucy Bedoya-Maire, illustrated by James Konatich. She has since had six more books published, four of which are collections of folktales.